According to Betfair.com, which is one of the largest betting exchanges in the world, the odds of a "Grexit" (Greece leaving the Eurozone) in 2015 are not high, even given the recent stall in negotiations between Greece and its creditors. Greece and its creditors continued to negotiate late into the night on Monday morning, hours past a "final" deadline on Sunday evening. Greece, which is perilously close to bankruptcy, needs immediate funds in order to avoid a financial disaster. The country, which shuttered its banks over a week ago, is on the brink of ruin. Greece's creditors have demanded that a set of key reforms be passed through their parliament first in order to "restore trust". These six sweeping measures include key tax and pension reforms. According to Eurogroup finance ministers, these reforms need to be enacted by Wednesday evening in order for more funds to be released to Greece. After that, negotiations on a third bailout program will commence, provided that the reforms have been passed into law by Greece's parliament. 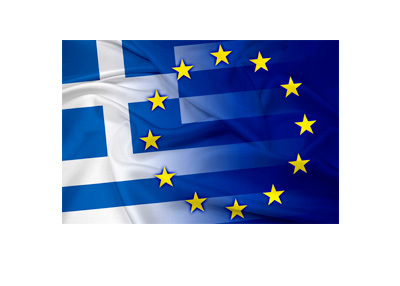 Will Greece Leave Eurozone in 2015? According to these odds, there is currently a 25.64% chance that Greece will leave the Eurozone this year, while there is a 75.19% chance that they will not. As the talks between Greece and its creditors "progress", one thing is for certain - gamblers don't feel as though Greece will be leaving the Eurozone anytime soon.